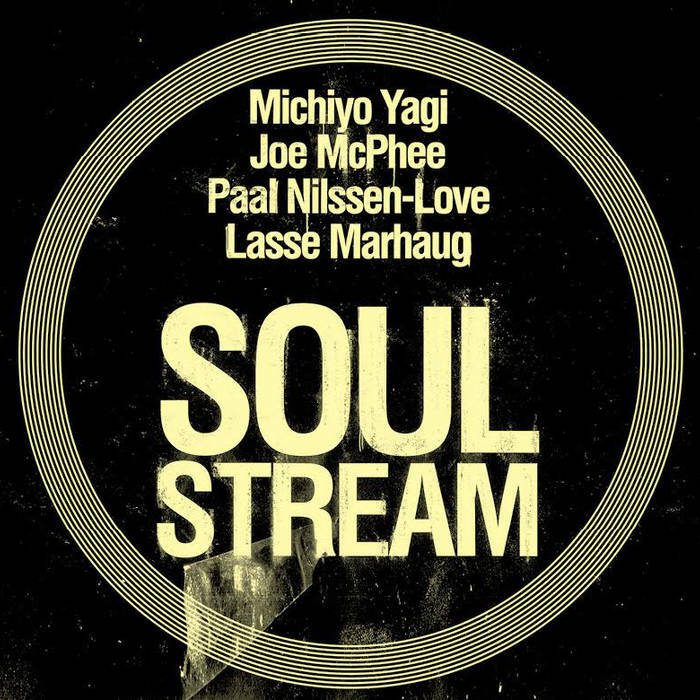 The trio of Michiyo Yagi, Lasse Marhaug and Paal Nilssen-Love has been active for a few years, but never released any album before now. Nilssen-Love needs no introduction, a powerful drummer and hard working innovator involved in many projects around the world, constantly seeking new grounds to explore. Lasse Marhaug is another well-known figure in the field of improvised music, bridging the gap between electro-acoustic soundscapes and noise. Michiyo Yagi is a virtuoso expert of the koto, an ancient traditional Japanese zither, and has been active in free improvisation for almost twenty years, collaborating with many important international artists. 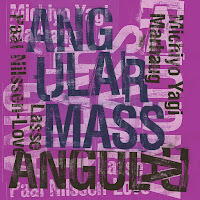 Their first record together, Angular Mass, has just been released by PNL, Nilssen-Love’s own label, along with Soul Stream, in which the trio is augmented by the very special guest of Joe McPhee. 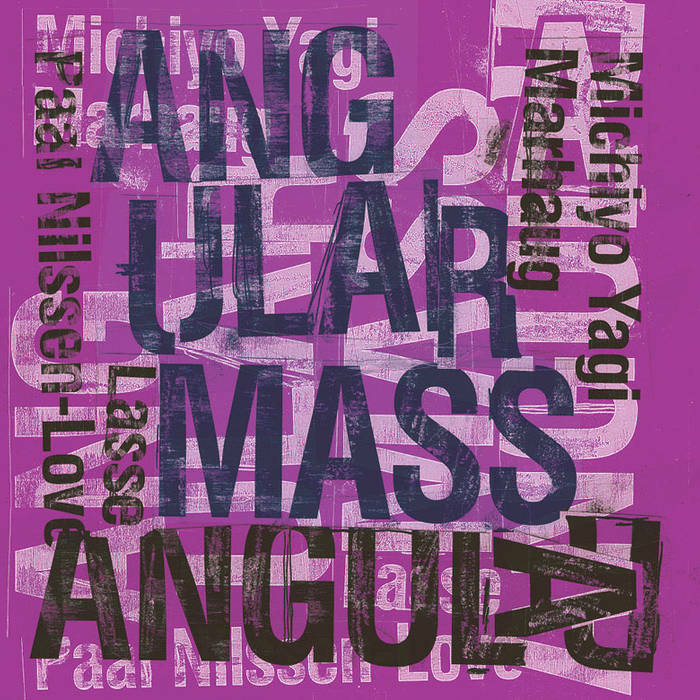 Angular Mass (recorded in 2011) revolves around typical improvisational frameworks, with long excursions that move from sparse, scattered sounds to dense, loud sections and back again. 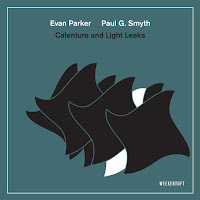 The overall structure of these pieces may seem obvious, but they reserve more than a few surprises along the way, with unusual instrumental solutions and varied dynamics. Nilssen-Love alternates between his typically muscular drumming and a more restrained percussive activity, always pushing the music in different directions. 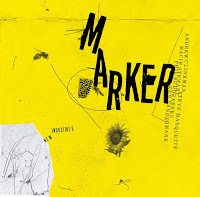 Lasse Marhaug makes an excellent work on both the noisier sections and the more minimal passages with intriguing electronic textures that always retain a rich, physical quality. Throughout the album Yagi takes full advantage of the distinct sound signature of the koto, exploring its melodic and rhythmic potential or transforming its output through extended techniques, carefully avoiding the pitfalls of easy exotic characterization. The central piece of the album, Spotlight Devil, is especially interesting, and represents a peculiar change of mood, with a sombre pattern on the koto that evolves through minimal tonal variations while the beautiful textural work of percussion and electronics creates a fascinating, cinematic atmosphere, before the abstract finale returns to more familiar improvisational strategies. This record is dense with ideas and the longer tracks might be overwhelming at times, but the musicians are always aware of each other, always listening and keeping the music flowing. 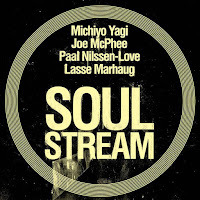 In Soul Stream (recorded in 2013) Yagi, Marhaug and Nilssen-Love are joined by Joe McPhee, that confirms once again to be one of today’s great masters of creative music, still pushing the envelope after almost fifty years of glorious career. 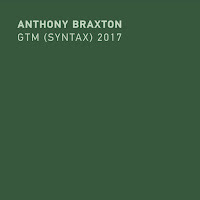 The main characteristics noted in the previous record are all present here, with a colorful palette of instrumental voices and agile dynamics. The main expressive mood is different though, with an even more focused output from all the members. The tracks tend to be more structured, thanks in large part to the lyrical quality of McPhee’s playing, and often take on a fascinating narrative dimension, like a soundtrack for some futuristic film noir. The first track, Tear of the Clouds is an excellent example: Yagi builds a slow, steady base of bass notes, with McPhee on trumpet entering with breathy, short accents that soon become a beautiful blues tinged monologue, complemented by the bent strings of the koto. Nilssen-Love supports the music with rolling drums and crashing cymbals, pushing the piece to more abstract territory, while Marhaug weaves a rich electronic fabric in and out of the ensemble sound. 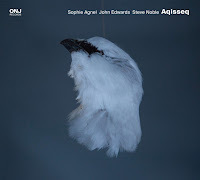 On other tracks the music gets definitely noisier, like in Torque, in which McPhee unleashes a long wailing solo on the alto, amid the storm created by the concerted efforts of the trio, with the harp-like strumming on the koto in stark contrast to the overall free jazz character of the piece. 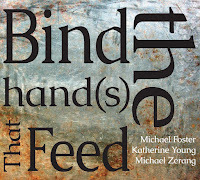 The album ends with another highlight, that combines both the narrative and abstract dimensions: The Unbroken develops through static noise and frenzied percussion along with powerful vocal outbursts by McPhee, until Yagi picks up a resonating ostinato that accompanies the surging electronics to an intense ending. A true ensemble effort, this record keeps a cohesive approach and tight interplay throughout, revealing at each turn new shades of creativity and a treasure trove of unusual timbres and eccentric ideas. Highly recommended.